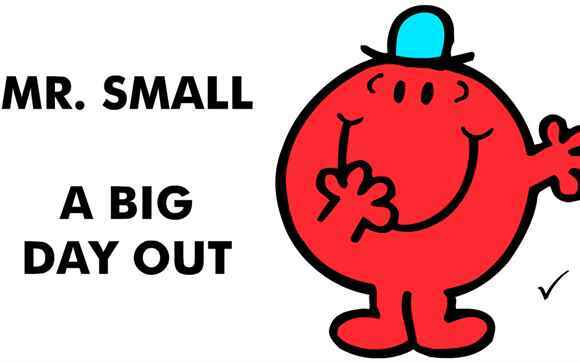 Listen to the story of Mr Small and his big day out. 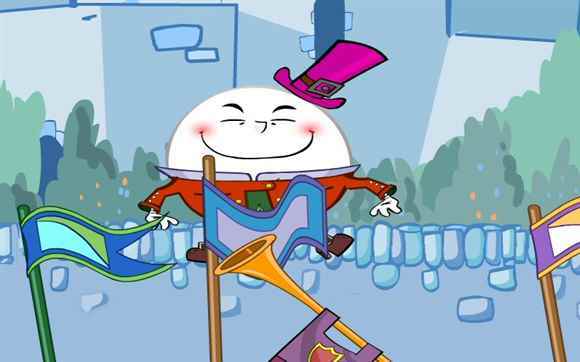 Watch and listen to the nursery rhyme about Humpty Dumpty. It has games but they are quite tricky. It's best to watch in full-screen mode. 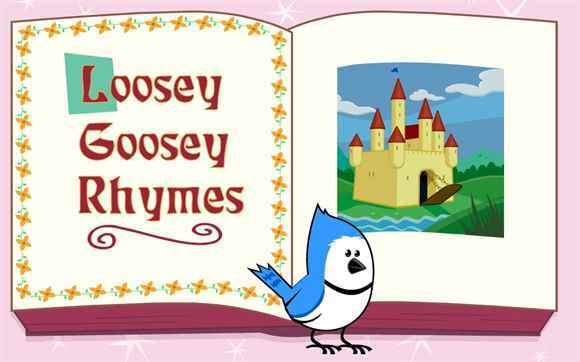 Listen to the nursery rhymes and find the missing letters. 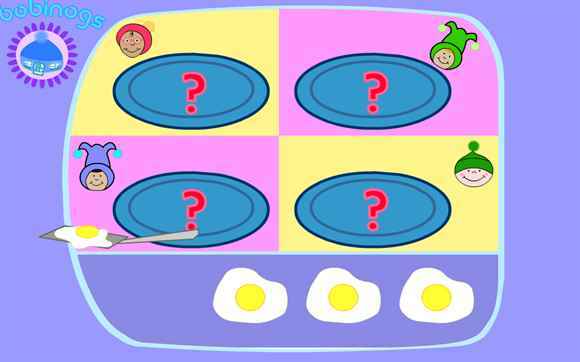 This game can help you to learn your letter sounds. 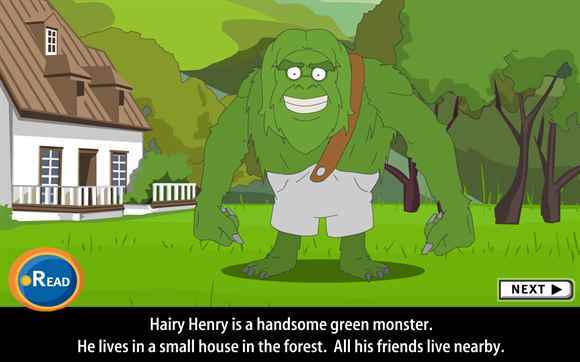 Enjoy the animated story of Hairy Henry's birthday with monster characters. 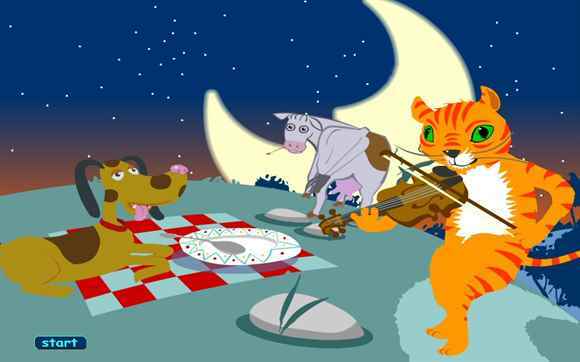 Have fun watching and listening to the Cat and the Fiddle nursery rhyme. 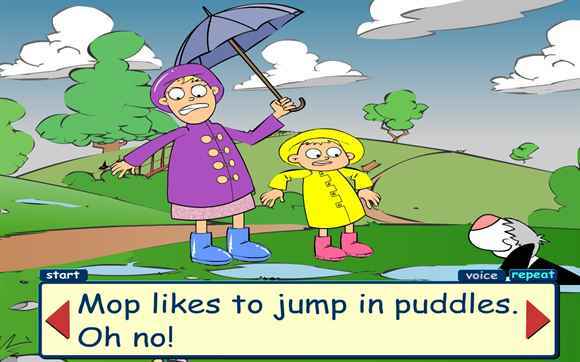 Read along with the text and play the games. Try watching in full-screen. 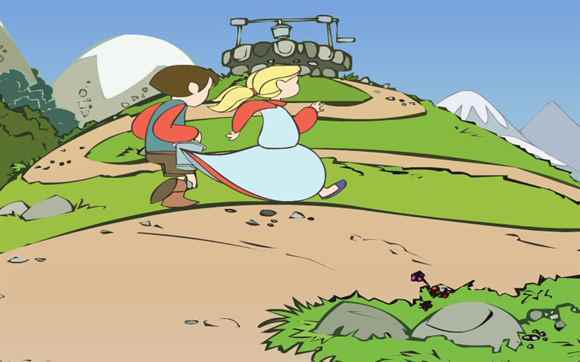 A clever animation of the nursery rhyme Jack and Jill with activities to try. The spelling game uses letter names rather than letter sounds. Lots of exciting games for you to play on the BBC Bobinogs website especially if you are between 3 and 5 years old. 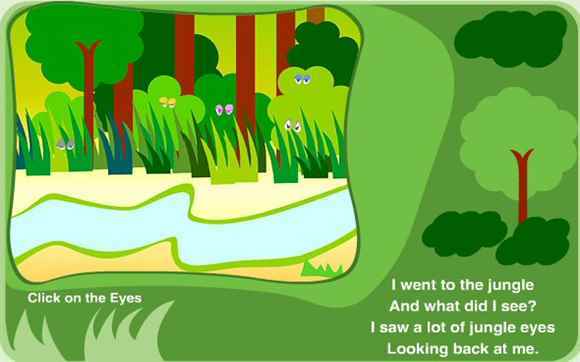 Listen or read along with this delightful animated rhyming story about jungle animals. An animated story about a dog called Mop who gets very dirty on his adventures. See if you can read the story. 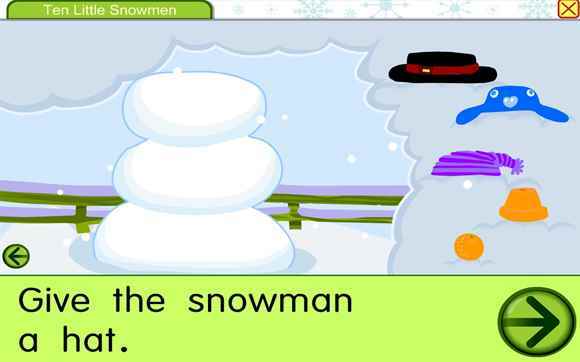 Dress the snowman and sing the well-known song. An animated story where you listen and watch and then answer questions at the end. 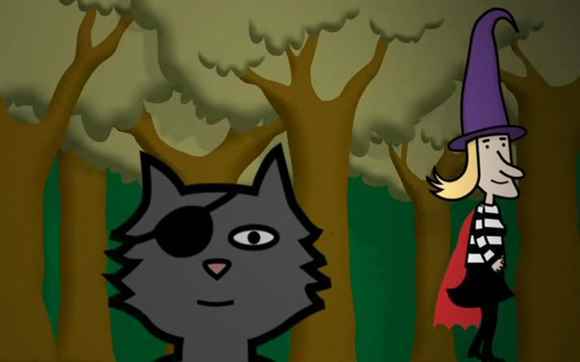 A brilliantly animated story with text about Hairy Henry's birthday with monster characters. You could use these super monster characters to write a character description about a monster. 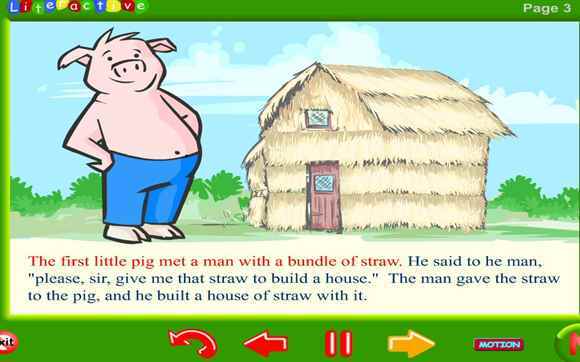 This is an animated story of 'The Three Little Pigs' but watch out, in this story the first two pigs get eaten and the wolf is boiled in the cooking pot! 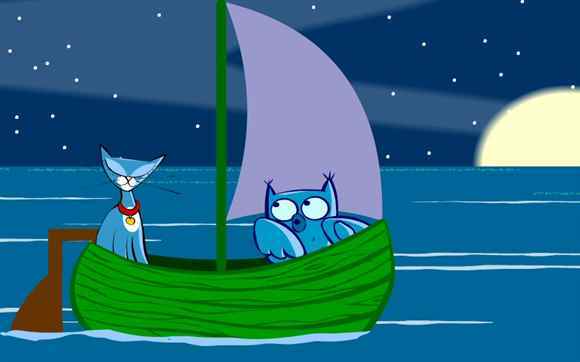 The website has an animation of the nonsense poem by Edward Lear. 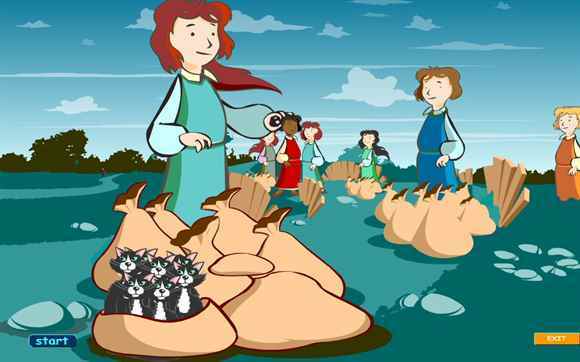 Listen to or read the poem or try one of the interactive activities which go with it. 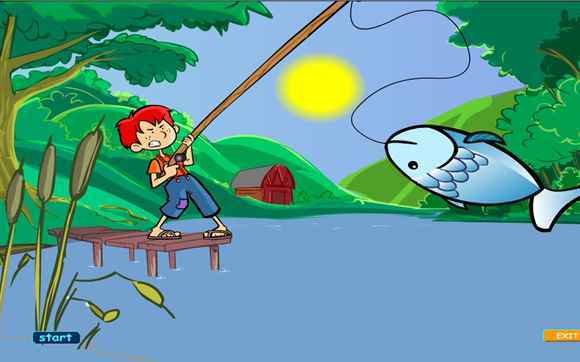 Enjoy these animated tales. 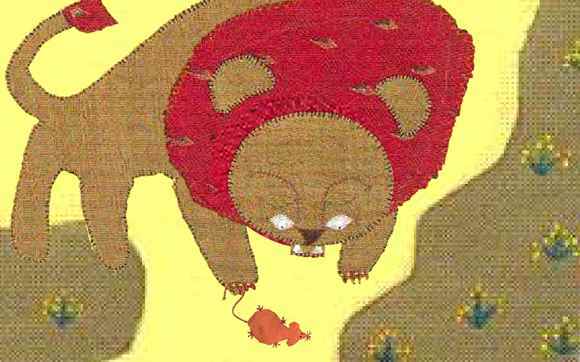 They include The Hare and the Tortoise, The Foolish Crow, The Lion and the Mouse and The Fox and His Shadow. The text is not included. 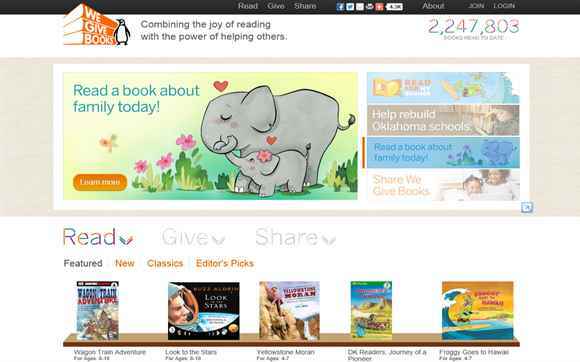 We Give Books is a digital initiative that enables anyone with access to the Internet to put books in the hands of children who don't have them, simply by reading books online. You need to register to read the books.